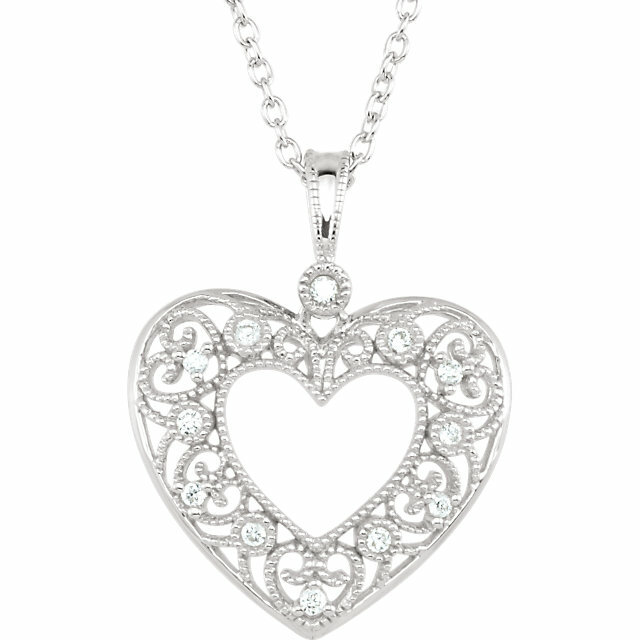 This beautiful sterling silver diamond heart pendant is sure to be the perfect gift for the one you love. The pendant comes with a 18in curb chain. Show your patriotism and support our troops with this beautiful Sterling Silver Ribbon of Courage Pendant, with 3.5mm imitation pink tourmaline gemstone. A pink ribbon is a symbol of breast cancer awareness. It may be worn to honor those who have been diagnosed with breast cancer. 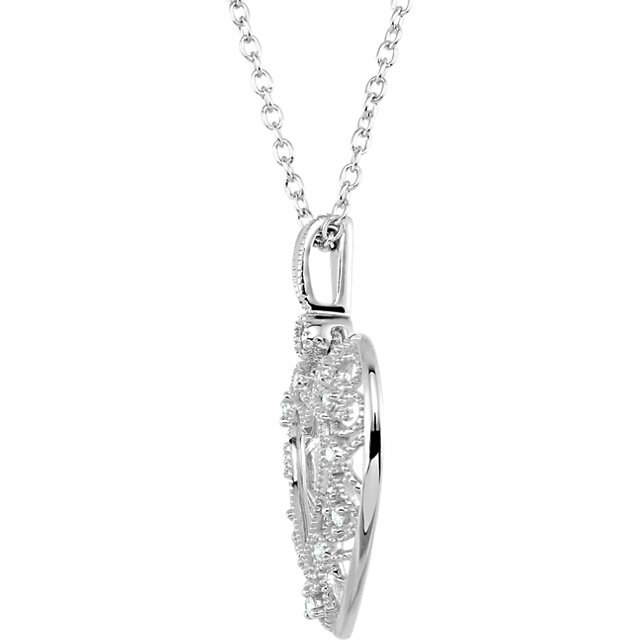 This elegant pendant with show your support for a cure for breast cancer.